﻿ When Brian Fallon released his solo debut Painkillers in 2016, his attachment to The Gaslight Anthem was yet to be shaken off. Get Hurt was still unfortunately fresh in many fans’ minds as the sore parting note of a band for whom their inclement hiatus felt much-needed, and rather than an original solo identity, Fallon’s output continued to be underlined by that. Even now on the release of his sophomore effort Sleepwalkers, the shadow of The Gaslight Anthem still looms overhead on the eve of their return, presumably galvanised and ready to take the mantle again as Fallon’s main project. But where that would spark concern for a number of other artists surrounding the state of their imminently-released solo album, Fallon isn’t one of them. He’s proved before he can juggle multiple projects at once – just look at The Horrible Crowes and Molly & The Zombies both running in tandem with The Gaslight Anthem – and even if Sleepwalkers would fall into the similar Gaslight-lite mould as its predecessor, he’s a gifted enough songwriter to hopefully produce something with enough heart and earnestness to prevail overall. And that’s a pretty fair assumption of Sleepwalkers as a whole, mostly because it ticks pretty much the exact boxes as every previous Fallon-affiliated project – warm, hearty songs set to the backdrop of timeless Americana perennially clad in a jean-jacket with its heart firmly sewn onto its sleeve. But while Fallon has always played well with familiarity, Sleepwalkers feels a little too tried and true, with Fallon in the dead centre his comfort zone without budging. And maybe it’s the volume of his material where this is the case, but Sleepwalkers feels like the point where his reliability is beginning to bend, and where just anything remotely different would be nice to hear at this point. Fortunately, Fallon’s synonymous sound is so watertight right now that it stops Sleepwalkers from being bad, as well as ensuring any endeavours to describe the sound of this album can be kept fairly concise. And this is pretty much exactly what’s expected of Fallon, like the vintage, soul-infused heartland rock of Forget Me Not or the folk and country touches of Her Majesty’s Service and Proof Of Life, all tied together with Fallon’s burly rasp that gives an extra few layers of pathos to a collection of already timeless love songs. On its own, Sleepwalkers is as predictably likable as Fallon gets, particularly when it hits a wider nostalgic space, like with the snap and jaunty skip of If Your Prayers Don’t Get To Heaven, or saxophone swing of the title track that continues to pile on the Springsteen worship that’s been such a consistent factor throughout Fallon’s output. 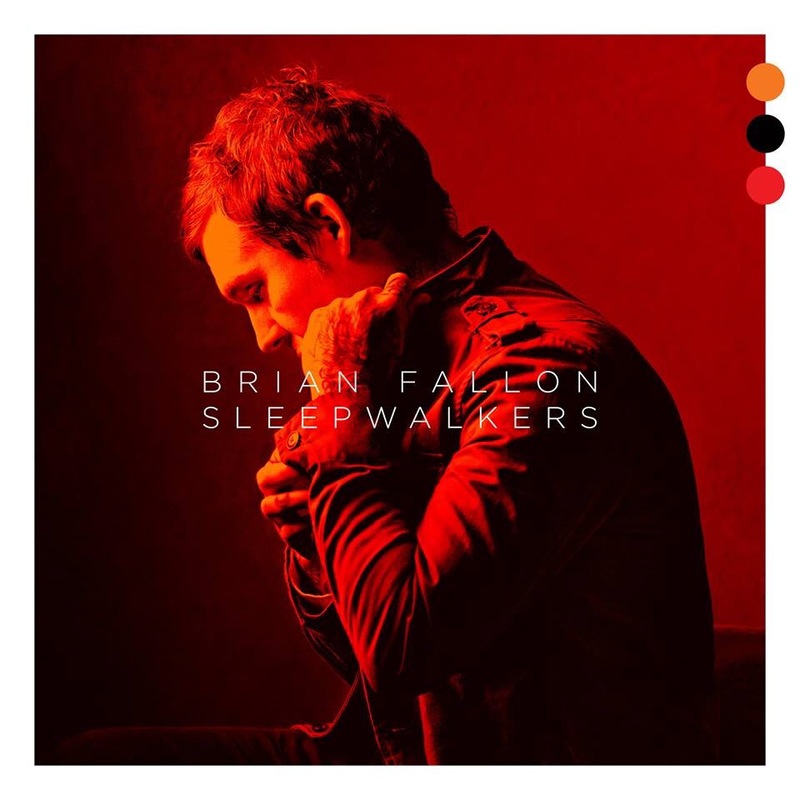 But where the weight of said comparisons have long been cited as the primary issues with Fallon’s work, Sleepwalkers finds him sounding too much like himself instead. For all the resonance these songs can have, they’re a disappointingly safe approximation of what Fallon has to offer, rarely feeling like anything essential and never reaching a point that surpasses his best work. The abundance of repeated ideas doesn’t help either; with the same burnished production and old-school guitar tone dished out to almost every track, moments like Etta James and Watson feel interchangeable, as if they were designed specifically as filler tracks in a Fallon-shaped mould that would elevate them beyond those low expectations. Alongside similar themes and lyrical winks to the past, Sleepwalkers ends up as a rather predictable listen that could afford to do a bit more to avoid slumping into the mid-tier of Fallon’s work. Still, there’s little that Fallon diehards would deem much of a problem here, and for the most part, there really isn’t. Sleepwalkers might unequivocally be more of the same, but that same has clearly been built with the compellingly earnest material that has defined so much of Fallon’s work to date, even if there doesn’t seem to have even been an attempt to mix the formula up even somewhat. It’s not as if it’s done poorly though, and as a songwritier and musician, Fallon’s melodic instincts remain second to none; it’s just that, if there’s an album from Fallon that’s most likely to be forgotten before all the others, it’s probably going to be this one. ‘Sleepwalkers’ by Brian Fallon is out now on Virgin EMI.